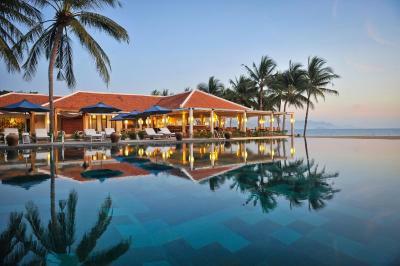 Lock in a great price for Evason Ana Mandara Nha Trang – rated 8.9 by recent guests! The breakfast is amazing!!!! If you love fresh fruit it will just be a dream come true. I was nervous because other reviews said the rooms were a bit dated. that is not the case as they are very well maintained. hotel restaurant was also amazing. pizza and lobster were top notch. 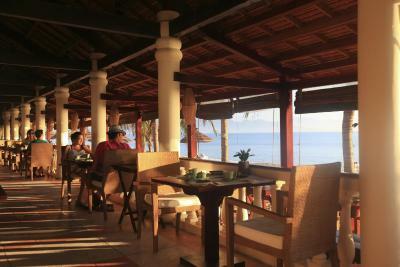 Best location in Nha Trang, right on the excellent beach. The single story, traditional style buildings create a lovely relaxed ambience which is a great contrast to the bustle of the town. Staff very friendly charming and helpful; restaurants and food all extremely good for breakfast and dinner. Manicured gardens right down to the beach. 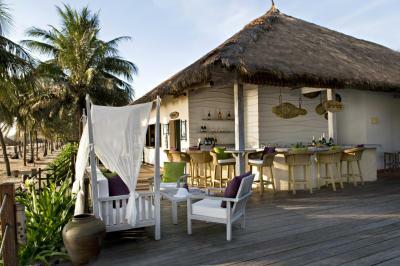 Very comfortable sun beds on beach and well spaced large thatched shades complemented by waiter service. Quiete resort which is very unique compared to the mass hotels in the city. Very peaceful. Excellent breakfast. Very convenient to walk around as you are just in city center of Nha Thrang. It would be hard not to have a fabulous time here. The resort has thought of everything you might need, even giving you a pillow menu. We loved the rooms, the views, the pools, the breakfast buffet, the restaurants, the spa and the whole vibe of the resort. Very eco-friendly and beautiful touches of this everywhere. The beds were so comfortable and I loved the outdoor showers. Can't wait to go back! location of the resort was perfect with the beach directly accessible. we had to checkout early and staff was kind enough to prepare a breakfast takeaway box for us. Everything! It was neat and clean. The staff us amazing. Every restaurant and bar we went to, the people were friendly and kind. Evason Ana Mandara Nha Trang This rating is a reflection of how the property compares to the industry standard when it comes to price, facilities and services available. It's based on a self-evaluation by the property. Use this rating to help choose your stay! 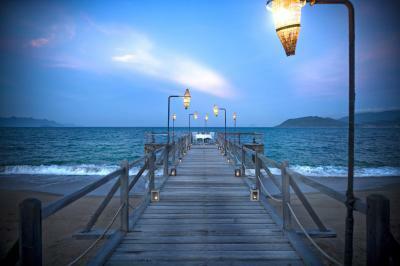 One of our top picks in Nha Trang.Evason Ana Mandara, one of Six Senses' brands, is Nha Trang's only beachfront resort. 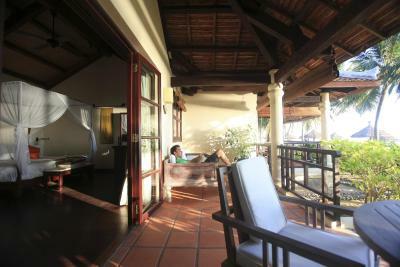 It offers luxurious villas with sea or garden views, and free internet. It has a spa, tennis courts, 2 outdoor pools and a private beach. Evason Ana Mandara has its own water sports center offering island trips and activities like fishing, snorkeling and scuba diving. Guests can also hire a motorbike to explore the area. 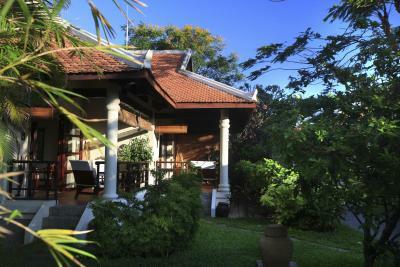 Villas are spacious and come with a cable TV, DVD player and a bathroom with bathtub and a rainshower. A mini-bar, safe and tea/coffee making facilities are also provided. 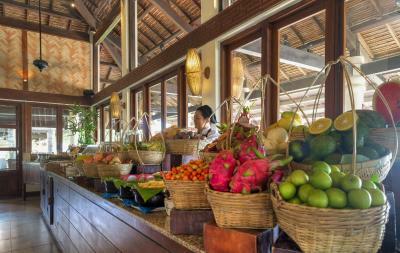 The 24-hour Ana Pavilion Restaurant offers panoramic views of Nha Trang Bay with its delicious Vietnamese and International dishes. 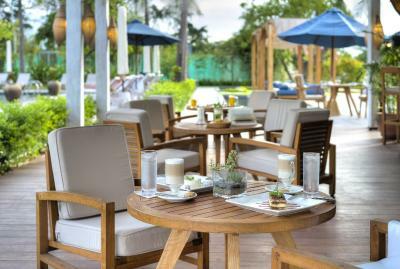 Located next to the infinity pool, The Beach Restaurant offers both indoor and outdoor seating and music performances. 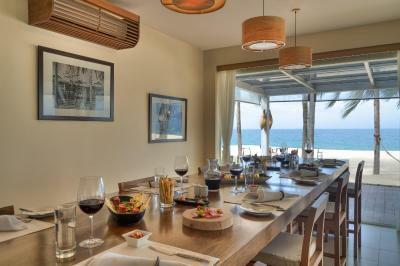 The resort features 4 dining venues. 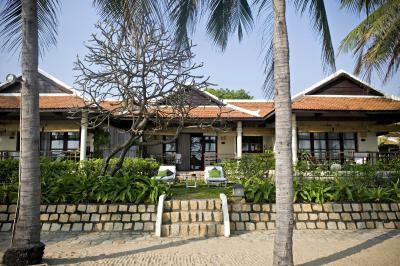 Evason Ana Mandara is located 0.6 mi away from Nha Trang's town center. 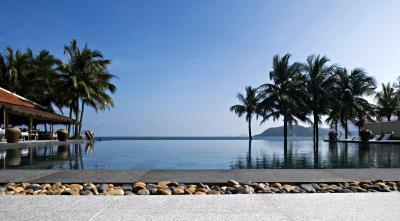 The property offers a chargeable airport shuttle service from Nha Trang Airport, a 40-minute drive away. 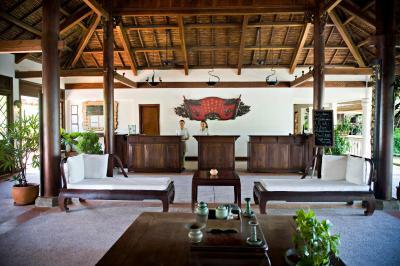 When would you like to stay at Evason Ana Mandara Nha Trang? Offering views of the garden, the rooms feature a private terrace and an private bathroom with a full-sized bath, rain shower facilities. Some villas have interconnected rooms with those from the Garden Villas. 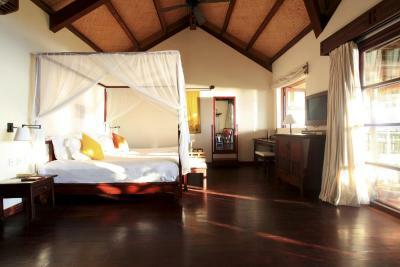 A spacious villa featuring an open concept timber roof. Offers direct beach access. On the beachfront, the suite features a private walled garden, a sheltered terrace and decks. The bathroom includes a large bathtub, a walk-in shower and an outdoor rainshower. 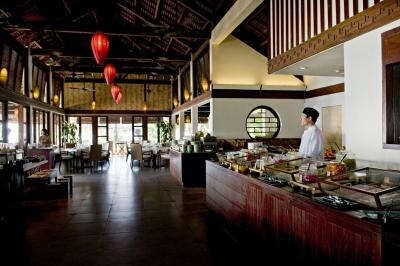 House Rules Evason Ana Mandara Nha Trang takes special requests – add in the next step! Evason Ana Mandara Nha Trang accepts these cards and reserves the right to temporarily hold an amount prior to arrival. Evason Ana Mandara Nha Trang has been awarded "Top Hotel Brand in the World" by Travel + Leisure Magazine in August 2017. Vietnamese residents who hold a valid Vietnamese ID or a passport with Vietnamese origin, and expats who hold a work permit with a minimum 6 months validity are eligible for domestic rates. Otherwise, an extra fee applies. I wish the staffs at night would be a little more friendly. The only thing I didn’t like had nothing to do with the property. I spent extra money to stay in an ocean front suite thinking there would be more privacy- however every morning I would open my curtains and there were already hundreds of people on the beach in front of my cabin. Now I know it’s not a private beach, (the chairs are private, so you can always get one) So there were people not staying at the resort sitting on the staircases and under the shade of the trees around the property. My suggestion would be if you are paying to stay ocean front request a cabin that is at the other end not so close to the tourist area. I stayed here during 4 nights with my family including my children and it was terrible. The resort staff was not willing to give us any smile. They asked us to get on the car in the yard without any excuse while another was parking in front of the main hall for a long time. 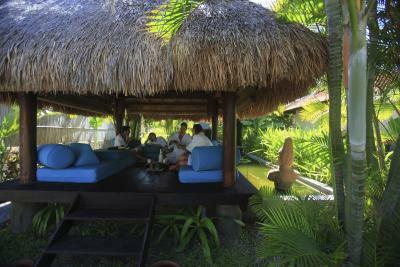 For many times, there was no one at the reception desk or at the pool bar. They accepted people without swimming clothes in the pool as well as huge swimming floats from guests. The room's doors were terrible with many faults after long-time usage but they didn't intend repairing them. There was mold around the washbasins. The bathcoats were too old and too dirty. So are curtains. However, I appreciate the kid zones with a nice animator and free meals for kids. Bathroom felt a little tired, could do with a refresh. Shower was a bit broken. Great location and friendly staff. 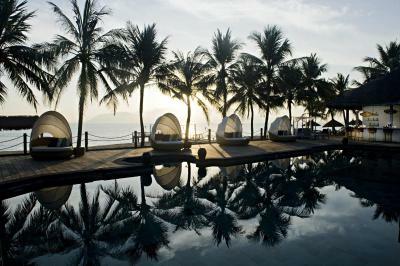 A great place to relax out of the hustle and bustle of Nha Trang. 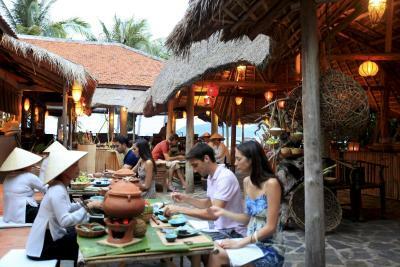 There are many activites to do and most resturants are eoth walking distance or a short taxi ride away. It’s was right on the beach.